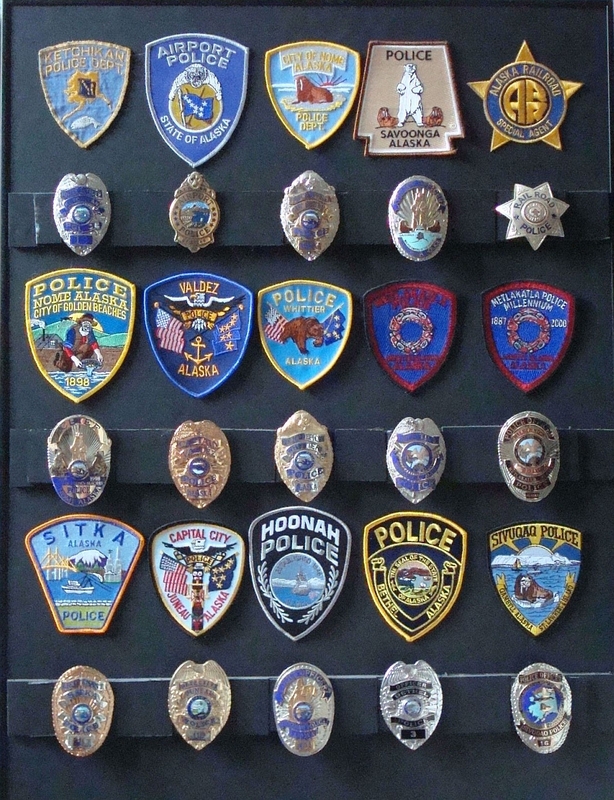 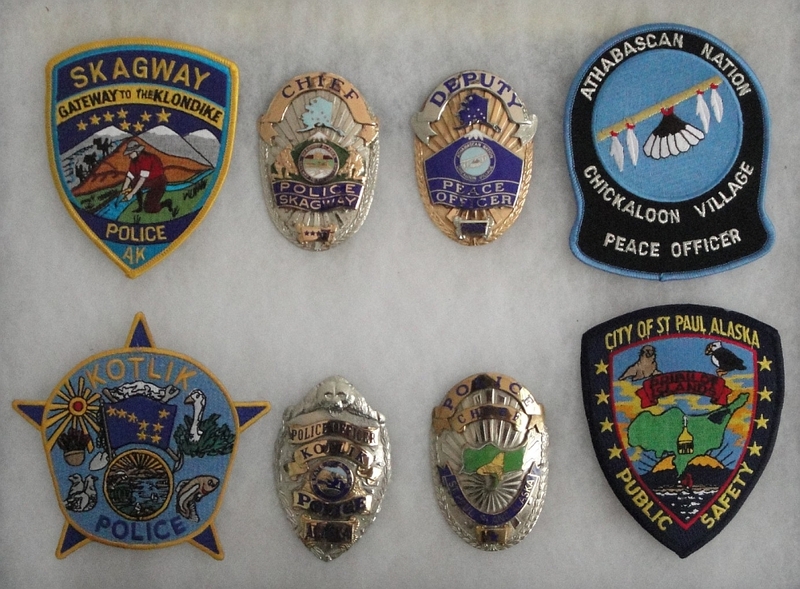 My Cordova, Alaska Police Department badge. 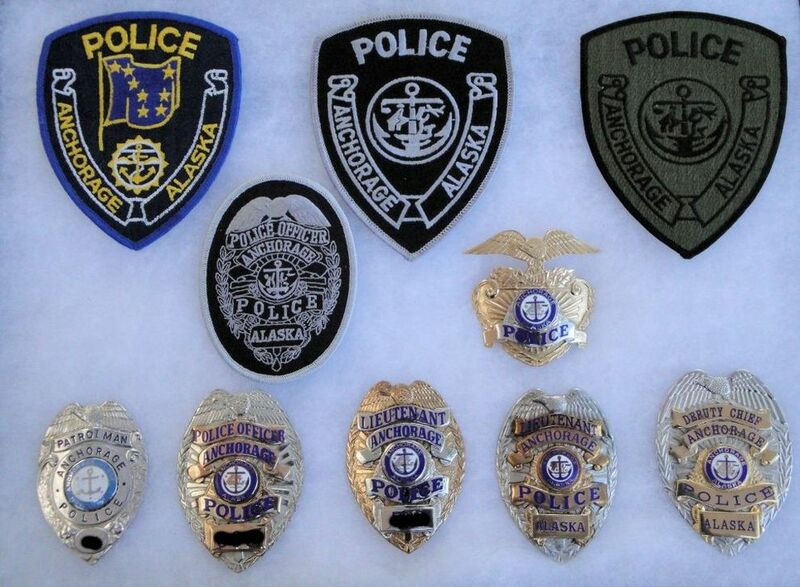 The patch on the left was discontinued shortly before I started with the department and the patch on the right was the style used during my tenure. 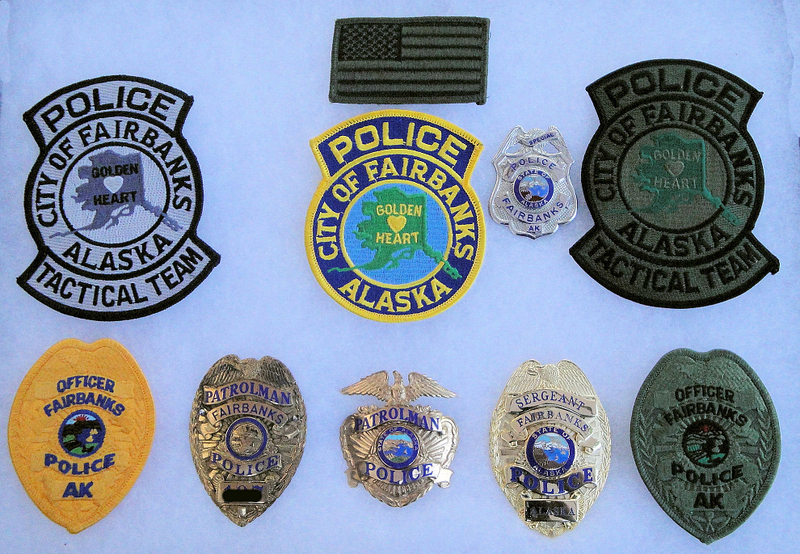 Miscellaneous Alaska badges and patches. 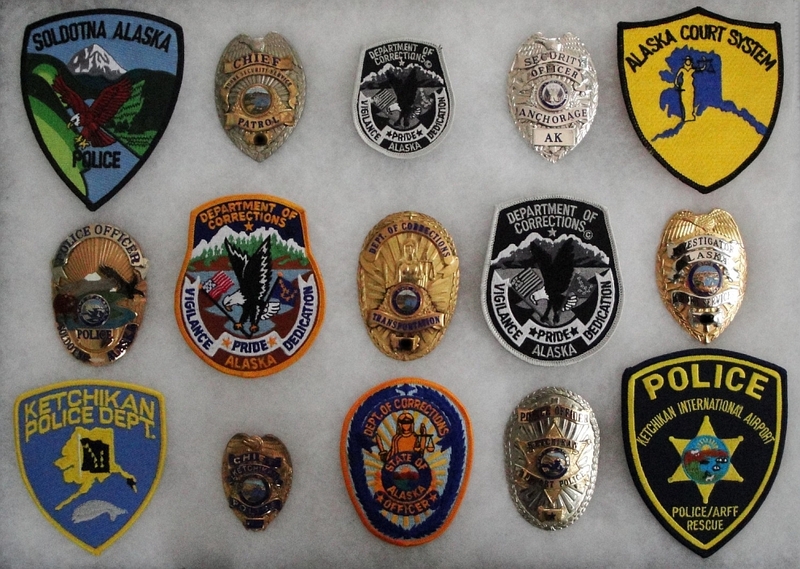 More miscellaneous Alaska badges and patches.